If you are into gaming then you would know that Razer is an famous gaming company which makes gaming peripherals and laptops. And today, Razer made their entrance in the smartphone. 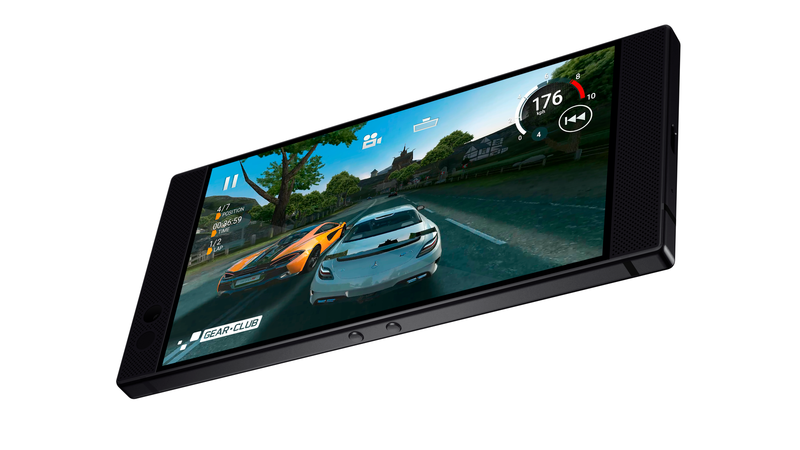 Today, Razer announced their first smartphone, the Razer Phone. Here’s what you need to know about it! 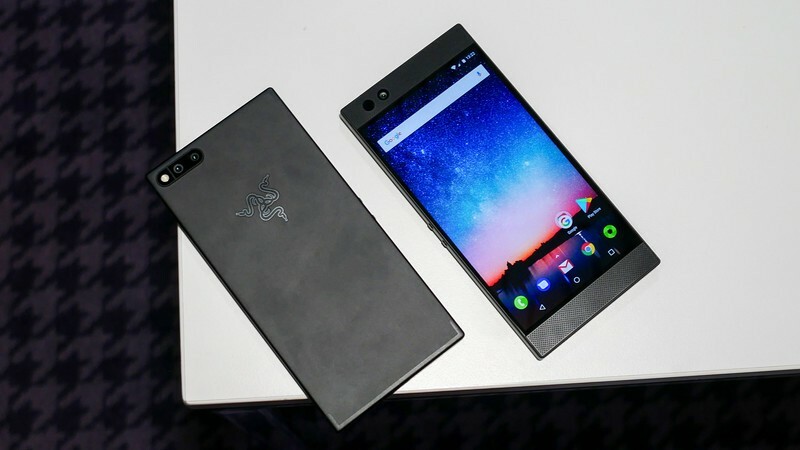 The Razer Phone combines the gaming acumen Razer devices are known for with DNA from Nextbit, the short-lived smartphone maker that Razer acquired earlier this year. But the Razer Phone is not (just) a gaming phone and Razer was keen to emphasize that the device is geared towards anyone that likes to consume entertainment on mobile, whether it’s gaming, movies, music, or some plain old web browsing. Razer is very serious with their smartphone game, with brawny specs and special features like including an 120 Hz in their smartphone which makes them different than any other smartphone. Refreshingly, it’s not even that expensive. So what’s the 120 Hz refresh rate all about? This feature enables smoother animations, provided that all the other components of the stack – phone hardware, drivers, applications – support it. There’s some debate around the actual benefits of having a high display refresh rate (other phones are capped at 60 Hz, which is arguably “good enough”), but it’s clear that 120 Hz is the way to go if you’re looking for the best viewing experience. The display of the Razer Phone is, in fact, incredibly smooth. Razer Phone uses a tech called UltraMotion to synchronize the display refresh rate with the frames rendered by the mobile GPU, similar to Nvidia’s Gsync feature for desktop PCs. The display itself is a 5.72-inch IGZO LCD panel of Quad HD resolution (in 16:9 format) that offers a Wide Color Gamut. The Razer phone didn't go with the trend of “bezel-less” design trend. Because it leaves room for some high-quality stereo speakers, as well as dual dedicated amplifiers. Razer equipped its phone with Dolby Atmos technology in order to extract the most volume and clarity out of the two speakers. Whether the end result is “true cinematic audio” or not is debatable, but we really loved the Razer Phone’s sound in our hands-on demo. There’s no audio jack on the Razer Phone, which is a bit of a letdown, but hopefully the THX-certified USB Type-C audio adapter and 24-bit DAC will make up for the inconvenience. As you would expect from a smartphone developed by Razer, the device features a truly impressive spec sheet. The phone is powered by a Snapdragon 835 processor with Adreno 540 GPU, along with 8GB of LPDRR4 RAM, and 64GB of internal storage, expandable via microSD. Razer says you’ll even be able to overclock the processor. The battery is very generous at 4,000 mAh, and that’s exactly what we wanted to see in a device that’s heavily geared towards gaming. The Razer Phone also features the latest Quick Charge 4+ tech from Qualcomm and a 24-watt charger that should make quick work out of keeping your battery full. The Razer Phone comes with two 12 MP cameras on the rear, one wide and one telephoto, similar to other modern flagships. The wide-angle lens features f/1.75 aperture, while the telephoto lens offers f/2.6 aperture. Both cameras boast Phase Detection Autofocus. The Razer Phone runs Android 7.1 out of the box, and the manufacturer promises an Oreo update for spring of next year. The phone is not quite stock – Razer made several customizations to take advantage of the hardware (you can change both the screen resolution and its refresh rate, for instance) and pre-loaded the premium version of Nova Launcher as the default launcher on the device. An app called Game Booster lets you customize the frame rate, resolution and processor clock speed on a per-app basis. Razer also plans to launch a new theme store that brings more customization than traditional themes. Once launched, the new themes will allow designers to customize the dialer, icons, quick settings, wallpaper, ringtones, notification settings, calculator, clock, icon packs and all the default preloaded non-Google apps. The theme store can also apply themes to Nova Launcher for a fully customized experience. Several major game developers are working with Razer to ensure that their games are fully compatible with the Razer Phone’s hardware. Optimized titles include Final Fantasy XV Pocket Edition, Lineage 2: Revolution, RuneScape, Shadowgun Legends, Tekken, and World of Tanks Blitz, to name a few. The Razer Phone is launching today in the UK, Europe, and the US. Razer has partnered with Three as the exclusive launch carrier in the UK, Ireland, Denmark, and Sweden. 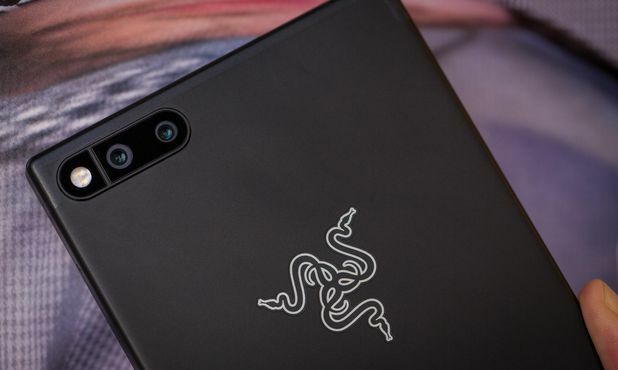 Razer will additionally offer the phone via Razerzone.com in North America, Canada, the UK, Ireland, Germany, France, Denmark, and Sweden. The company also plans to offer the phone via select Microsoft Store locations in the US and via Amazon.com. Pre-orders for the Razer Phone are available now for $699.99 in North America and Canada, €749.99 in European countries and £699.99 in the UK. The handset will launch on November 17 in the markets listed above. A special edition of the Razer Phone, featuring a green Razer logo (instead of the chrome logo of the regular model), will be made available through the channels listed above. Only 1,337 (leet!) units will be made available, but it’s not clear whether the special edition will be different in any other ways other than the green logo.